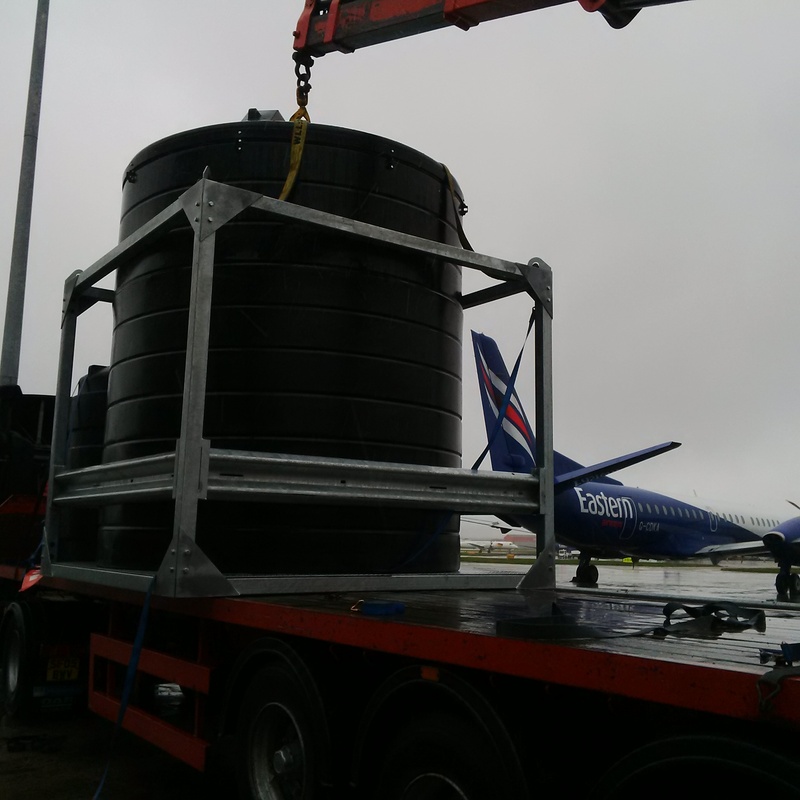 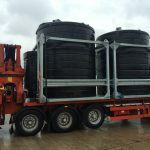 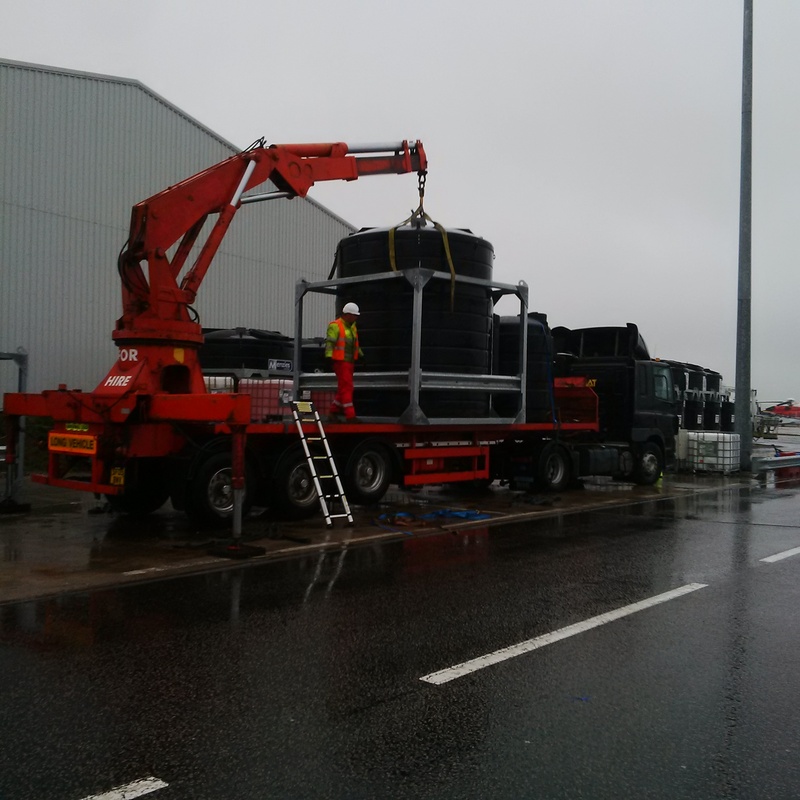 Aberdeen airport recently acquired two Tuffa 15000 litre bunded de-icer storage tanks to enable the continuation of flights throughout the coming Winter months. 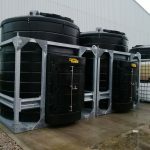 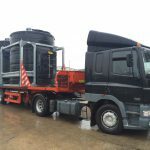 The tanks were each equipped with fill and outlet connection points, lockable security cabinets, high accuracy content reading gauges and a steel armco protection barrier to provide ultimate impact protection. The tanks were delivered air side which meant that we had to ensure all safeguarding precautions were followed, risk assessments completed and NOTAM’s issued before being allowed to enter the site. 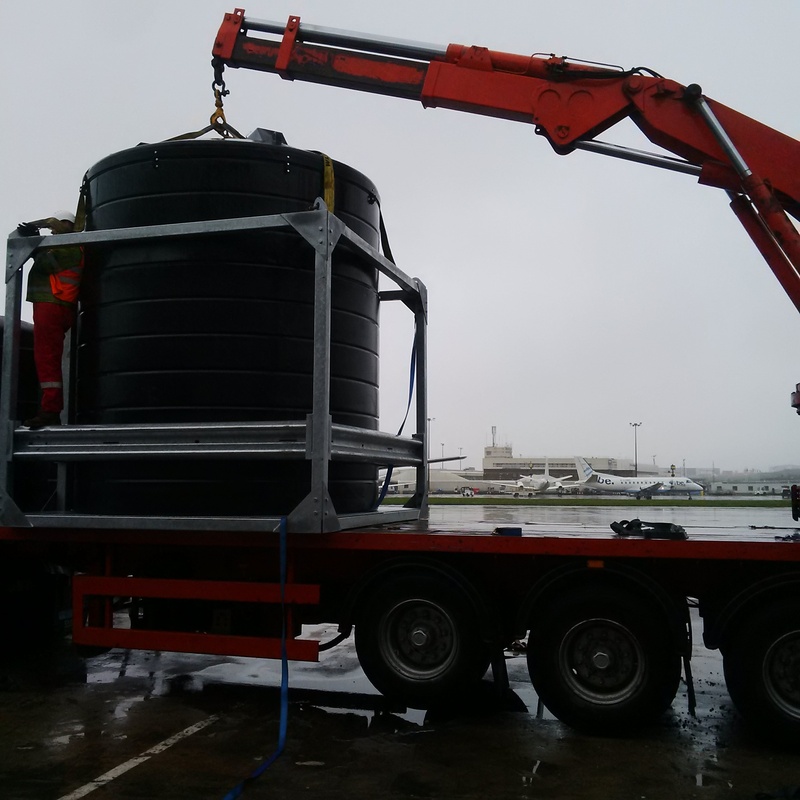 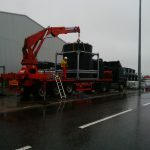 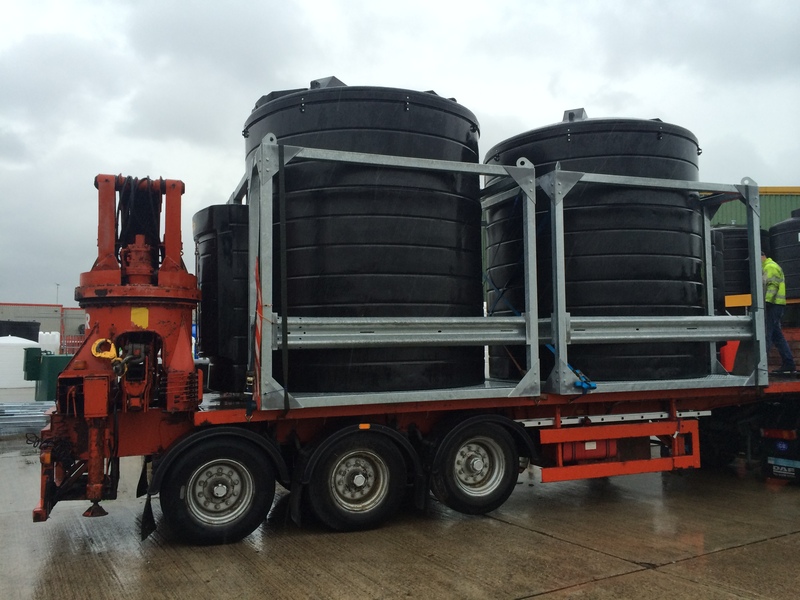 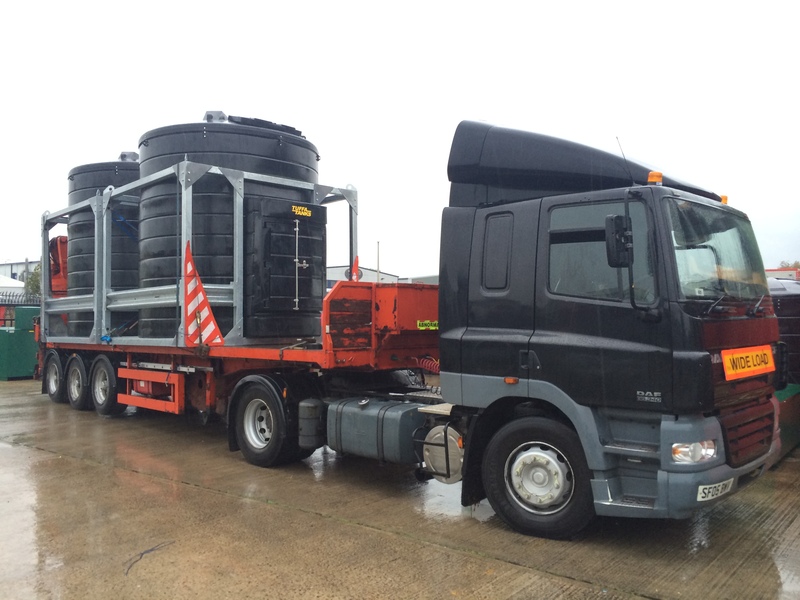 Crane off-load was conducted by our haulage company to lift the tanks off the vehicle in to position. For a quotation for a de-icer storage tank please contact the helpful and friendly sales team: [email protected] | 01889 567700.